"Spatial Agreements" was my end-of-residency-solo-show at the Chicago Artist Coalition. 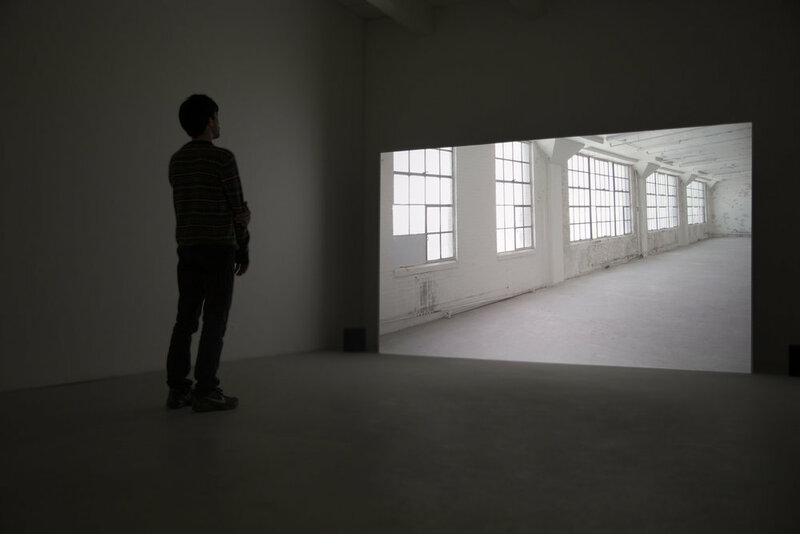 The exhibition was focused on two works, "Disposables" and "Uncommon Grounds." 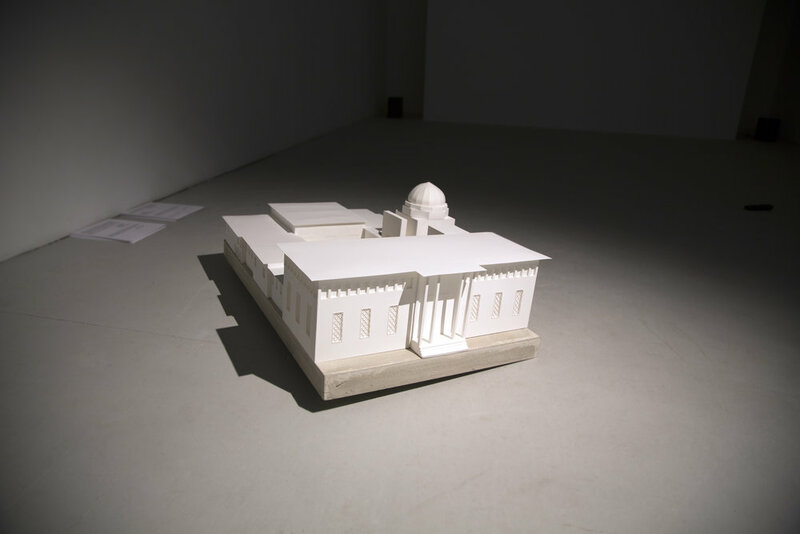 “Uncommon Grounds” shown in detail above, is an architectural model of the former Iranian embassy in Washington D.C, made with paper and cement. 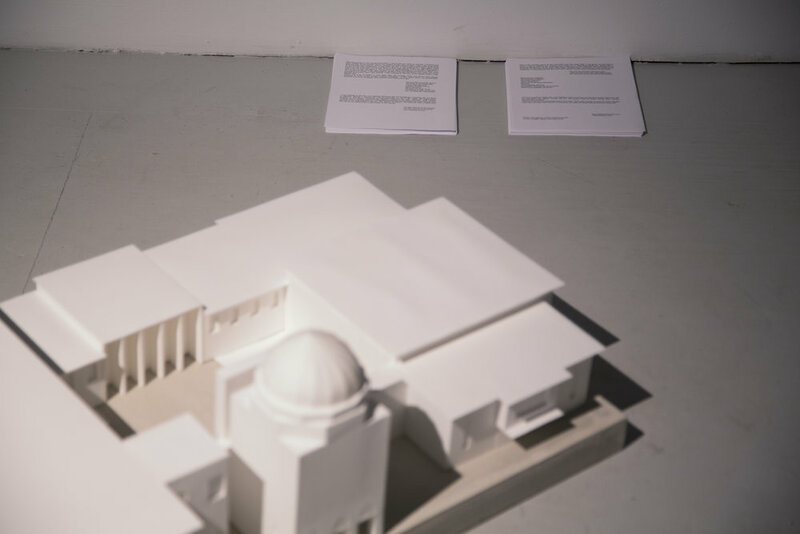 Made based on the data gathered from google maps and archival photographs, the model is set on a flat concrete base slightly tilted from the ground. In the course of gathering information and materials I became confronted with new questions around the impermanence and malleability of archival records and their role in shaping one's memory of a place, and in this case, a ghost architecture. The embassy building is currently at the ownership of the department of the state, in a state of ambiguity. 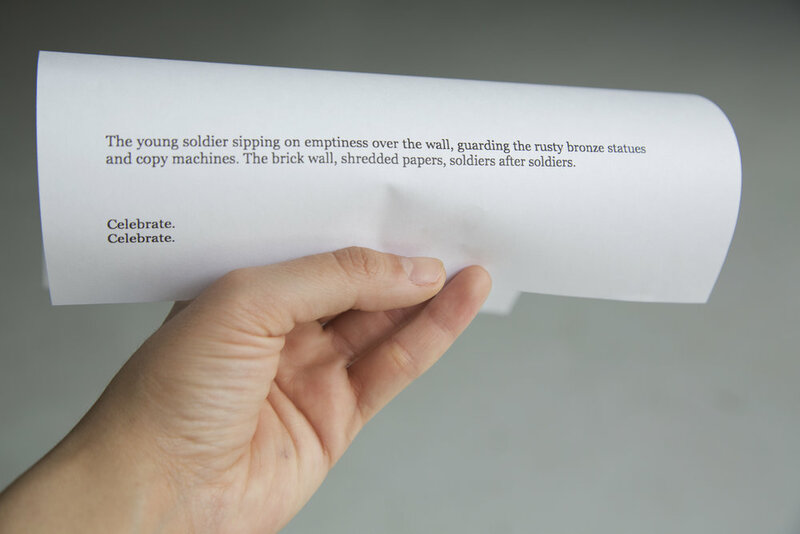 In the first iteration of the installation, six stacks of papers were placed on the ground, each functioning as a narrative sequence; a wanderer, an interviewee, an applicant, walks into an embassy, but the embassy is in an incessant process of morphing. Written as short fiction, part prose, and part poetry, every piece of paper is treated as a sequence, rearranged and reinterpreted, it can create a non-linear narrative for every reader. +for information regarding the availability of the architectural maquette and its text component, kindly send me an email.